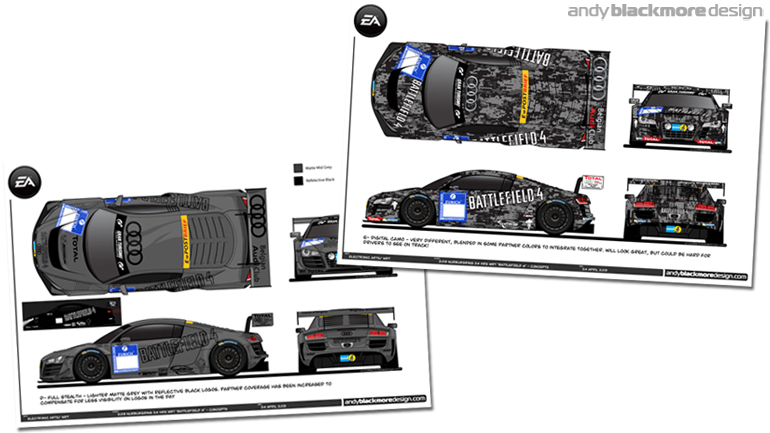 I was initially approached by Electronic Arts to produce a Battlefield 4 livery for their WRT Audi R8 LMS for the 2013 Nurburgring 24 Hours. 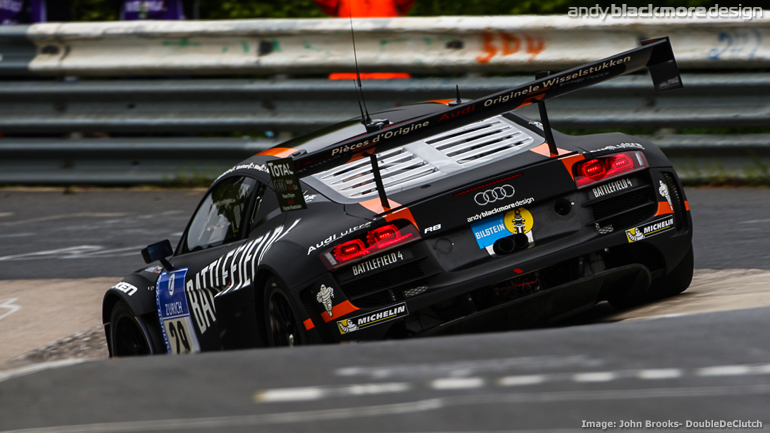 Working directly with WRT Audi, a number of proposals were designed from conservative designs through to extreme looks such as an all camouflage livery and all Matt Black (including chrome) with tone on tone graphics. 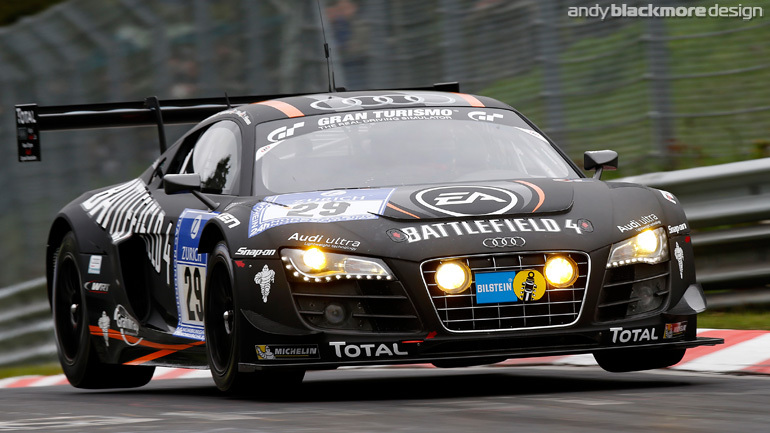 In the end EA went for one of the more basic liveries which had incorporated some elements of an earlier EA livery for FIFA 2013. 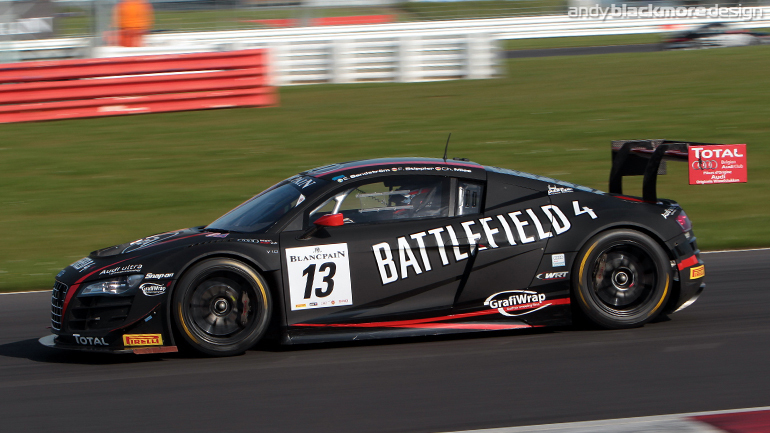 Even though the entry failed to finish the Nurburgring, the livery was very popular with the Battlefield fan base as well as the motor-racing community. 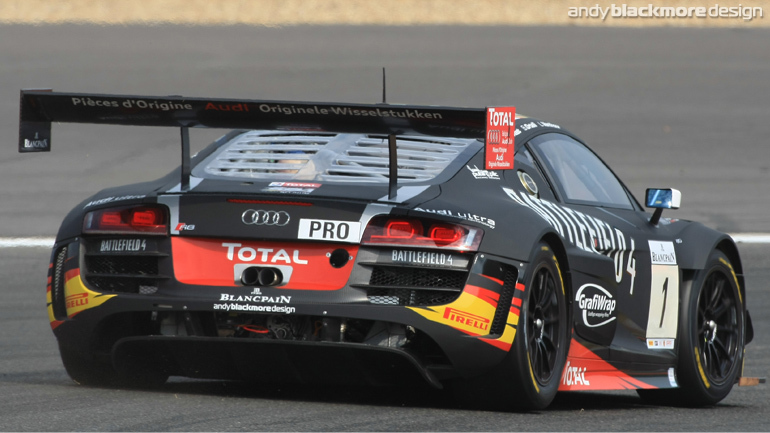 EA and WRT took the decision to continue this livery and partnership for the next round of the Blancpain Endurance Series, at Silverstone, doubling up to two cars in the process. 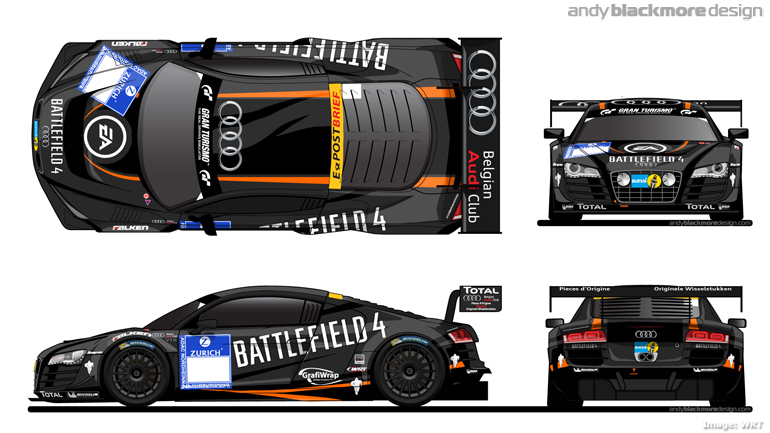 The second car would have Red roof stripes in lieu of the BF4 Orange. 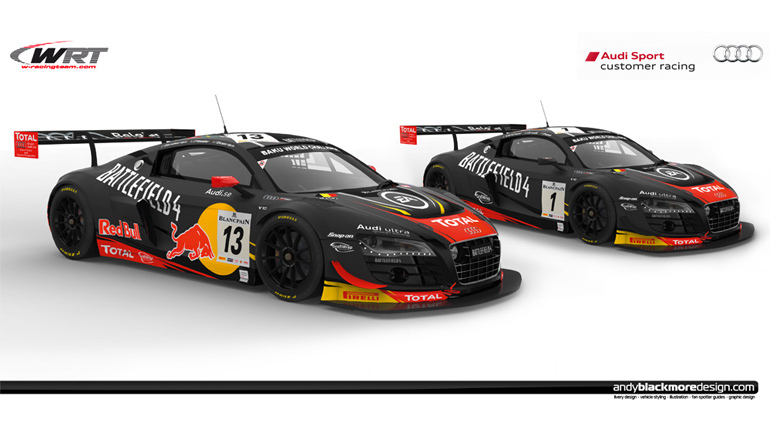 With the next endurance race, the Spa 24Hrs, approaching, WRT contacted me to create a variant of the design for two cars. 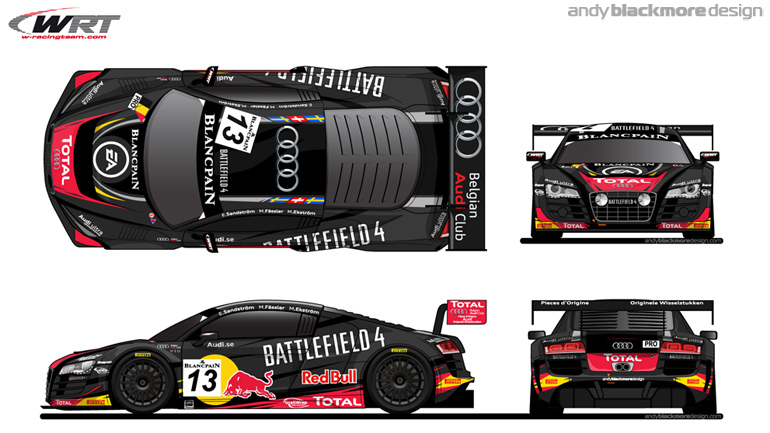 One car would have Red Bull branding and be piloted by good friend Edward Sandstrom with DTM Champion, Mattias Ekstrom while the other would retain a similar BF4 livery to the Nurburgring design. 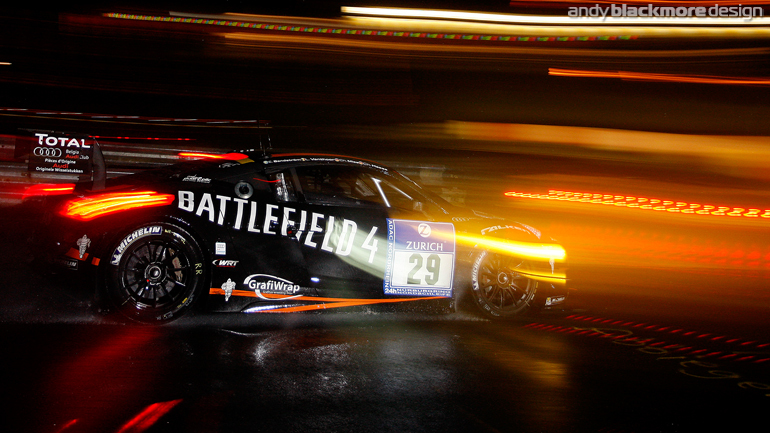 The Orange contrasts from the original BF4 branding was replaced by a Silver due to the clash of colours now Yellow had been added. Normally the change of tyre supplier wouldn’t be an issue, but I always like to incorporate all the logos into the actual design where possible. 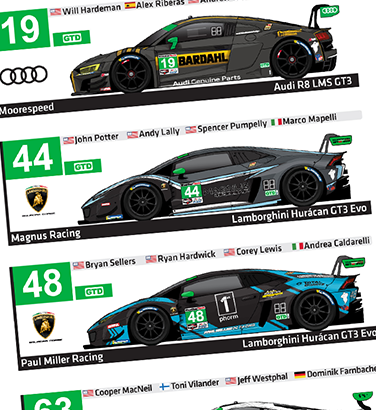 At the same time Total required more exposure as they were also sponsoring the race. Rather than place these on simple rectangles, I included a background into the actual design of the livery. Small detail, but it looks more resolved and cohesive. 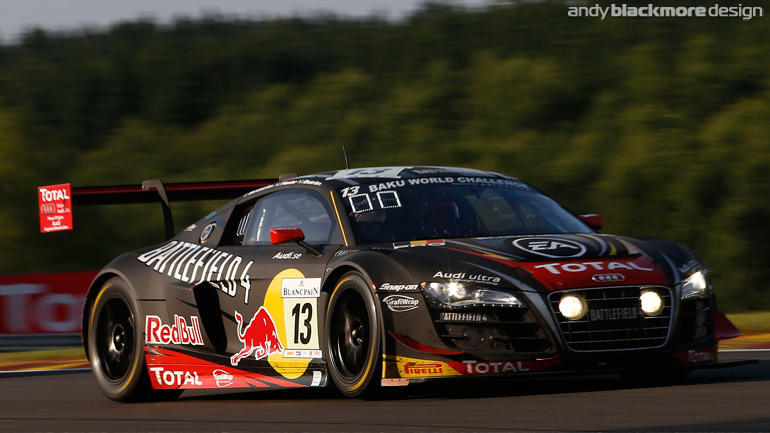 This once, one off livery continues to be used by WRT in the Blancpain Endurance Series, FIA GT and British GT Championships in 2013.